It’s that time of the year where we start thinking about the next year; making lists, creating plans, and working on budgets. Make sure your 2018 budget includes items for technology. Whether you want to believe it or not, technology plays a vital role in your business activities. You store your electronic data, send emails and invoices to customers, and need to call and receive calls, just to name a few. Here are a few tips to keep in mind when preparing your budget. The best place to start in picking a budget is to review what you spent the previous year. Look at your expenses, and then you can adjust the number from there. Adjustments are made based on what items you can reduce (you might have purchased new equipment last year, so your budget will decrease this year), and what things need adding (if you need to replace a couple of computers that are outdated). Budgeting isn’t just a wish list where you ask for everything you could want (but that would be so nice!). It is about making sure you are purchasing things that align with the business’s one-year, 5-year, and 10-year plans. Show that the IT items listed help to achieve each specific goal that the company is trying to make. When thinking about new fun tech toys, be sure to look at what your company utilizes for software. Some of the newer tech items might not be compatible with the software for your business, making that new purchase worthless. If you are looking to complete a much-needed project that will save the company thousands over the next year, make sure to talk about the cost recovery. Often, only the significant costs are seen in a project, and not the overall benefit and cost savings that will come over the years. Speak up and let everyone know that $X amount of costs will result in $X amount of savings. Sometimes the hardest part of budgeting is starting one. It might seem daunting, but just start putting your numbers on the paper and go from there. Every year after the first one will help you hone your skills and track your expenses more efficiently. 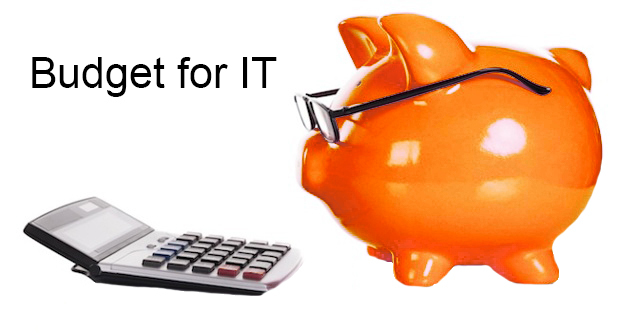 Budgeting is essential for every aspect of your business, especially technology. Don’t wait for those surprise expenses to pop up this year, plan for them and prepare. If you need help with developing your technology budget, contact Networks Unlimited (970) 243-3311 / sales@networksunlimited.com.